Karterados is one of Santorini's 14 villages, situated in the southeast of the island capital Fira, easily within walking distance of the pension. The traditional village is built in three narrow pumice stone canyons and is home to about 600 people. It used to be a maritime settlement as well as a farmer village. Nowadays the townscape is dominated by small taverns and numerous shops used by both locals and tourists. 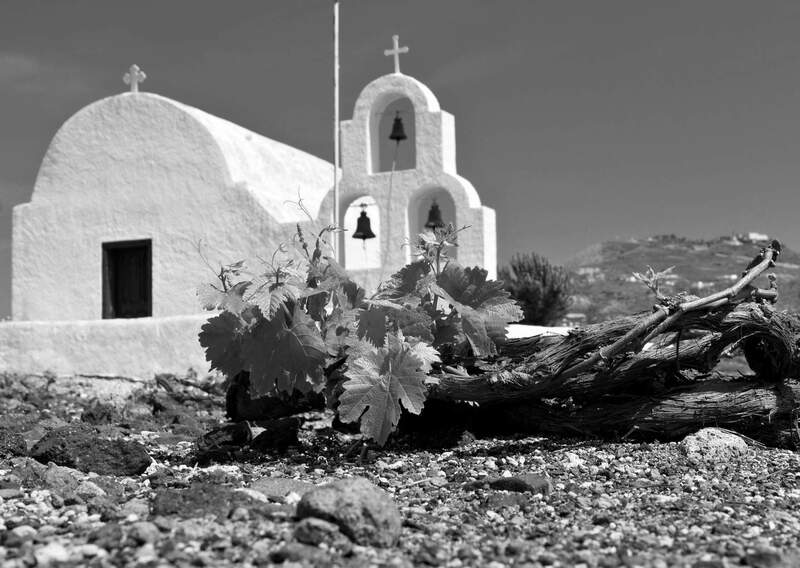 Karterados is well known for its number of churches – no other Santorini town has as many. Our Pension Atlas is located in the outskirts of Karterados and offers a breathtaking view of the church of Agios Jannis on the east side. We also offer rooms with sea view .